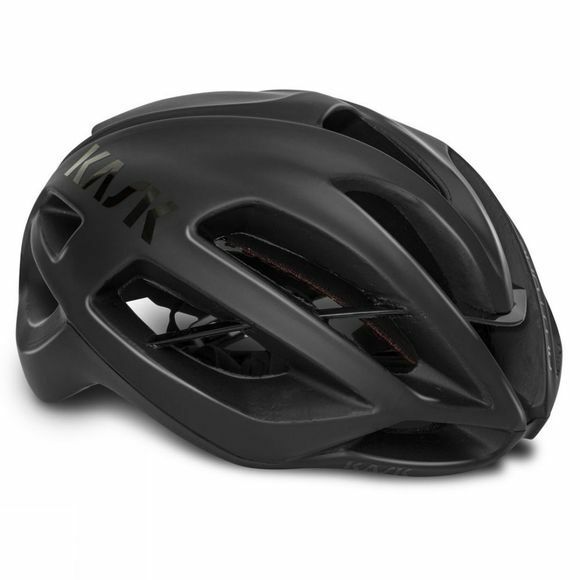 Kask’s Protone Matt Helmet has been made with Aero control technology, it is aerodynamic, and the top performing shell has been tested in the wind-tunnel to provide a really impressive CX rate. So any position the head is in it will assume the outflow of the air will be perfectly in line with the helmet. In the inner side of the helmet there is tridimensional 3D DRY padding that is high technology for the best comfort and performance. You can wash the inner padding as it is washable and is made with Coolmax material. Coolmax is a moisture-wicking fabric that helps with breathability by preventing any moisture from being trapped within the fabric. Aero Control: Incredibly aerodynamic and top performing shell, tested in the wind-tunnel and able to provide a really impressive CX rate. Any position the head will assume the outflow of the air will be perfectly in line with the helmet. 3D dry: The tridimensional 3D DRY padding utilizes a multi-layer open cell construction process: high technology for the best comfort and performance. M in moulding: The innovative "in moulding" technology, joining the inner polystyrene cap to the outer polycarbonate one, ensures a better shock absorption. Sanitized: Inner padding fabric treated with antibacterial and antimicrobial Sanitized® process. Visibility: High visibility stickers for maximum safety even in poor visibility conditions.